From the Organizing Committee of Al-Andalus Ironhorse VII we report that was postponed until October, due to problems outside the organization, this is the note of the Organizing Committee. "From the Organizing Committee of the Raid" Al-Andalus Ironhorse "Sorry to inform you that, for reasons beyond our control, we are forced to postpone the race until next fall. The terrible economic crisis, coupled with the approaching elections Andalusian prevent us from accessing any financial support or media and can not guarantee the viability of our project. We regret the disruption we have caused you and deeply appreciate all your wonderful willingness to cooperate and participate. Hopefully the situation will soon improve and we can organize a race category and media support the sport deserves. " The sun is not yet up over the desert, but already 50 horses and riders are gathered at Qatar's Endurance Village in Al-Wakra, half an hour's drive from the capital Doha. 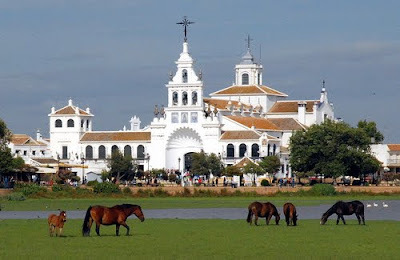 They are gathered to compete in a 120-kilometer (74.5-mile) endurance race, the likes of which are held here most weeks. Masked riders gaze steely-eyed into the desert as their horses crest their necks and paw the ground, eager to get the race under way. The starter counts down in Arabic, and the horses and riders surge over the starting line, galloping into the pitch-black desert with their high-held tails streaming behind them. Hot on their heels a fleet of Land Cruisers hares after them across the sand, the glare of their headlights creating a moving oasis of light. These are the support vehicles from which the owners, trainers and managers can observe the race in progress and shout instructions. 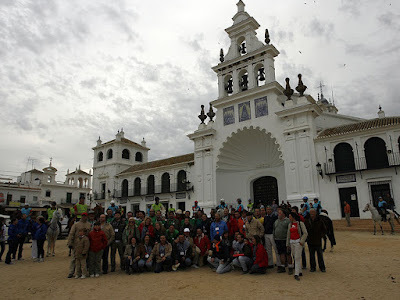 Today, the horses will complete laps of a 30 km (18.6 miles) course, stopping for checks at the end of each lap. Any horse deemed unfit to continue thhttp://www.blogger.com/post-create.g?blogID=5099696e race will be eliminated at each check point. They will travel at speeds of up to 40 km per hour (25 mph) for around eight hours. Of the 50 who started the race, fewer than a quarter will complete it. Most of the horses are pure-breed Arabians who are revered in Islamic culture, prized for their beauty, intelligence and, above all, their endurance. It was the Arabian horse that formed the genetic blueprint for the modern racehorse, with every modern thoroughbred tracing its DNA to just three "original" oriental stallions imported to the UK in the 18th century. Some say the Arabian horse was a gift to mankind from Allah. The ancient breed is supremely well-adapted to the unforgiving desert terrain of the Middle East. Many of these animals are ex-racehorses, gradually trained and brought up to fitness to compete in endurance races. Although the sport is ancient in its origins, today's races are as professional as they are competitive, with horses conditioned to the peak of fitness and subject to rigorous veterinary inspections both during and after the race. Endurance Canada takes great pride in recognizing Joan Harris for all she has done for the sport of endurance in Canada. 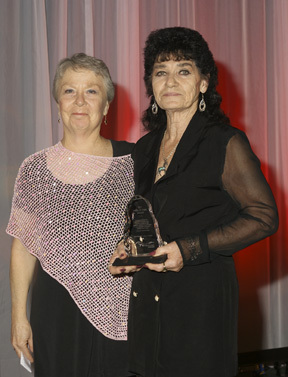 For her dedication, Harris has been named as recipient of the Endurance Canada Hall Of Fame Award. The list of Harris’ endurance related accomplishments could wrap around a trail loop, but she is not content to retire and reflect on her past accomplishments. She remains an active member of the local saddle club near her home in Jarvie, Alberta. She has quite literally lost track of the number rides she has organized and managed, some of them FEI, in the past 30 years. Harris has also held every board of director’s position in her provincial organization, the Endurance Riders of Alberta. At present she is a member and a committee member of Endurance Canada, and she is an FEI Endurance Steward. Her resume of her international involvement in the capacity as rider, official and crew is extensive. Harris has held three FEI rides in a row, and she has a three year plan for more rides including FEI rides and fundraising rides for them. No small task on a tight budget, a retirement income, and quite often a task force of one—herself. When her trail system needs to be cleared and marked on horseback which she has often done on her own, she has been known to pack a chainsaw on her horse and spend a whole day clearing trail. Yet Harris still makes time to ride. Her lifetime mileage is close to 6800 competitive miles and Harris is looking forward to participating in 100 mile rides this coming summer and next year, so she will have her 7000 mile award buckle in time for her 70th birthday. Harris’ mixture of modern foresight, blended with experience and her enthusiasm to assist anyone from first time rider to first time FEI rider has been an encouragement to many endurance members. And while she has no plans to retire just yet the Hall of Fame would not be complete without Harris’ name in it. Lisa Davenport and Lace and Fineness won the STIHL CEI3* 160 km Championship in the North Island Championships, held on 21-22 January, 2011. Their ride time was 9:36.50, 17 minutes ahead of second place finisher Rosemary Revell and AA Mystic Charm. Best Condition award went to Lace and Fineness. Of the 16 starters, 7 finished. Georgia Smith, riding Aurora Australia, won first place and Best Condition the Ethical Agents Pty CEIJY3* 160 km Championship as the lone entrant. Her total ride time was 10:00.01. The Dixon Smith Equestrian CEI2* 120 km Championship was won by Braden Cameron on Karamea Krusader, in 6:49.53, 6 seconds ahead of Alexandra Rogers on Supre Topaz. Third place Sandy McCuan and Mizraim Silver Gym received Best Condition honors. First place and Best Condition in the Sarah Linton Equine Therapies and Saddle Fitting CEIJY2* 120 km went to Emma Mason and Tararua Mistalight. When Raj Patel, 11, a student of the fifth standard finished first in the juniors category of the endurance race held in Ambdo village near Gandhinagar, his family, friends and onlookers erupted in joyous celebration, cheering the young boy for his achievement. But only few knew that this little champ had also triumphed in the greatest endurance test that life had in store for him. For, Raj, who has taken part in several such races across the state and dreams of being a jockey, had taken a fall from a horse which left him completely paralysed. Raj fell from a horse the very first time he insisted on riding one! The 2010 Alltech FEI World Equestrian Games in Lexington, once lauded as likely to be the first championships of its kind to make money, apparently fell shy of that mark despite last-minute help from sponsor Pearse Lyons and FEI's president, Princess Haya. According to its 2010 tax return, the non-profit World Games 2010 Foundation closed the year $1,386,625 in the red after receiving almost $70 million in revenue, including more than $36 million in 2010 alone. Because the Games were put on by a private foundation, tax returns are the only financial information required to be made public. Individual contributions do not have to be disclosed. But according to foundation chairman John Long, the 2010 revenue included a previously undisclosed extra cash injection of $3 million from Lyons, founder of Alltech, the Nicholasville-based animal health and nutrition company. Lyons' company paid $10 million for title sponsorship of the Games at the Kentucky Horse Park, the first equestrian championships held outside Europe. Abu Dhabi: Shaikh Hazza Bin Sultan Al Nahyan revealed great horsemanship when he won the prestigious HH The President's Cup CEI Three-star 160-km endurance ride at the Emirates International Endurance Village here yesterday. While winning the Dh1.5 million ride, Shaikh Hazza also denied Sultan Ahmad Al Beloushi his third consecutive success in the President's Cup. Riding 12-year-old Glenmorgan, Shaikh Hazza started on a slow but steady pace and from being positioned 46 after the first stage out of the 126 riders who started, he went on to score a brilliant win against some of the UAE's top riders. Shaikh Hazza and Glenmorgan completed the six-loop 160-km ride in six hours 21 minutes and 35 seconds finishing ahead of Al Beloushi on Cronus, the winning pair of last year's ride with National Day Cup winner Fatima Jasem Al Merri on Ohio in third place and recent winner of the His Highness Shaikh Mohammad Bin Rashid Al Maktoum Cup 160-km ride - Abdullah Ganem Al Merri in fourth place. CORNWALL – Several passionate horseback riders from the area are getting ready for some serious riding as the Seaway Valley Arabian Horse Association hosts their International Endurance ride later this year in Finch. The endurance race will be the third one held by the club but the only endurance race held in Ontario in 2012, one of three held in Canada and one of 11 races in North America. “Usually in Ontario we try to have one international ride a year and nobody was stepping up to the plate,” said Dessia Miller, president of the club. The races that are being held are in the one and two star levels. In order for riders to qualify for the championship races (known as the four star level), they have to go through the star system. The one star level requires the rider to complete an 80 km run at slower than 16 km an hour. The two star level is a 120 km course with no speed restrictions. Dorset vet Catriona Moon will be the only British rider at the 160km President’s Cup three-star endurance ride in Abu Dhabi on Saturday (11 February). Catriona, who has twice before represented Britain, expects conditions to be harsh as she and the 13-year-old Leila cross steep desert sand dunes in temperatures in the high 20s. The duo fly to Abu Dhabi today (Tuesday 7 February). THE Royal Team rider Yacoob Yousif Al Hammadi, riding Hondo, claimed the coveted title in the King's Cup Endurance Race yesterday at the Bahrain International Endurance Village. The pair completed the 120-km race in a time of five hours, eight minutes and two seconds, just 21 seconds ahead of fellow Royal Team member Ahmed Janahi on Oeops. Having led for the majority of the race, Jaffar Mirza came in third in a time of five hours, nine minutes and 34 seconds. Al Hammadi's victory was based on a well thought-out strategy worked out under the guidance of Royal Team leader Shaikh Nasser bin Hamad Al Khalifa and coach Khalid Bu Lami and saw him overtake Janahi in the final stage of the race. Speaking after the race, Shaikh Nasser praised the support of His Majesty for the event, which he described as one of the most important of the season. He went on to highlight the continued success of the event and said this success was the result of great work done by the Royal Equestrian and Endurance Races Association and the King's Cup organising committee. Shaikh Nasser admitted his delight in seeing the Royal Team members do so well. He then expressed his appreciation to event sponsors Durrat Al Bahrain and Al Hawaj for their significant contributions. Meanwhile, Supreme Council for Youth and Sports first vice-president and Royal Equestrian and Endurance Races Association president Shaikh Khalid bin Hamad Al Khalifa praised all participants in the race. He also joined in praising King Hamad for his support to endurance sport and said the presence of His Majesty at the race provided a huge boost to all the participants. Shaikh Nasser and Shaikh Khalid were alongside Royal Equestrian and Endurance Races Association vice-president Shaikh Faisal bin Rashid Al Khalifa and Endurance Committee chairman Shaikh Daij bin Salman Al Khalifa. They were also part of the presentation party for the closing ceremony of the race. As well as presenting the prizes to participants in the King's Cup race, they also rewarded those from the race for riders with special needs. If her life as a shipping lawyer in London and Athens isn’t challenging enough, Erin Shanson can always turn to her lifelong passion of horseback riding. Countryside treks close to home are fine, but this summer Shanson has something much bigger on her schedule. Shanson, originally from Tracy, and about 30 other horse enthusiasts will dash across 1,000 kilometers (600 miles) of the Mongolian steppe from August 7 to 20. It’s the fourth Mongol Derby put on by The Adventurists, a United Kingdom-based outfit that organizes multiple-day races around the globe. The group’s goal is to take people as far as possible from hotels and guided tours. In an e-mail from Greece, Shanson stated that her search for a new equestrian adventure led to the Mongol Derby, and it was just the opportunity she was looking for.